Home Facility Management IT Procurement software affected by Heartbleed Bug? Though the systems themselves aren't necessarily vulnerable, the data that procurement software attains from sensors located throughout all facets of the distribution process may be compromised by the Heartbleed Bug. 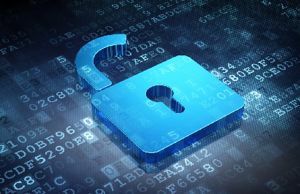 After specialists revealed that the Open Secure Sockets Layer/Transport Layer Security protocols were unprotected, consumers expressed the most concern. However, new revelations show that manufacturers and logistics experts may also have something to worry about. By integrating the Internet of Things into procurement programs, public and private organizations alike have benefited from better visibility into their materials acquisition processes. Walt Sirene, a contributor to Washington Technology, explained that the software has helped the United States federal government - as well as foreign authorities - scrutinize which aspects of product obtainment are hindering expense reduction. He also noted that spend management strategies have been optimized by the integration of data analytics tools. "When done correctly, spend analytics can unlock valuable insights that can help federal acquisition and procurement organizations drive structured acquisition strategies and make informed decisions," noted Sirene. As such programs utilize information that is primarily aggregated from Web-driven sources, it's possible that the Heartbleed Bug could be used to distort the intelligence being processed by the spend analytics program, which would in turn produce inaccurate, inapplicable knowledge. Executing analytics programs isn't an easy task and in the event that this distortion occurs, the resources spent collecting and processing the data would be wasted. The Heartbleed Bug allows hackers to tap into certain electronic devices used to integrate data into spend analysis programs. Any gadgets connecting to the Web could possibly be exploited to manipulate company market intelligence or even listen in on corporate video calls. According to CNN, tech companies Cisco and Juniper identified a number of networking mechanisms that have been profoundly affected by the Heartbleed Bug, servers, routers, switches, phones and video cameras among them. Allowing warehouse managers to upload and access files pertaining to facility inventory is quickly becoming the norm, but malevolent figures could possibly hack into devices to view any information stored on them. Select versions of Juniper's virtual private network service are exposed, meaning that anyone who managed to tap into the VPN can obtain whatever is on the user's PC's memory. Though difficult to access, one type of Cisco software that operates Internet switches is at risk. As multiple departments within a procurement agency utilize a number of Web-connected devices, critical information pertaining to the business is at risk. However, software developers and server engineers are developing ways in which Heartbleed can be addressed and resolved.